What To Read Manga With Me?GT Manga Club? Tomoko Kuroki naturally assumed she’d be popular when she got to high school...but then cold, hard reality swooped in for the attack! 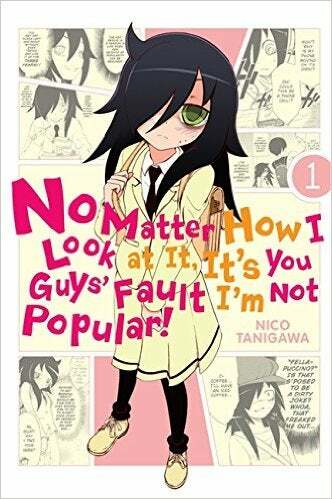 Turns out all the popularity points she’s racked up in her video game dating sims are worth squat in real life, and Tomoko’s far from prepared to navigate high school! How can she possibly hope to impress her classmates when she can’t even talk to them?! A new high-school heroine is born (maybe?)! There are 7 volumes out and the 8th is scheduled to be released in March. It’s $8 for paperback and $4 for kindle.